Since a couple of year i was watching my brother reading with his Kindle. Since a couple of year i was increasing my eBook collection but I'm not a big fan of reading on my pc. As a developer, i usually read technical book. Most of the time those book are pretty big and heavy. 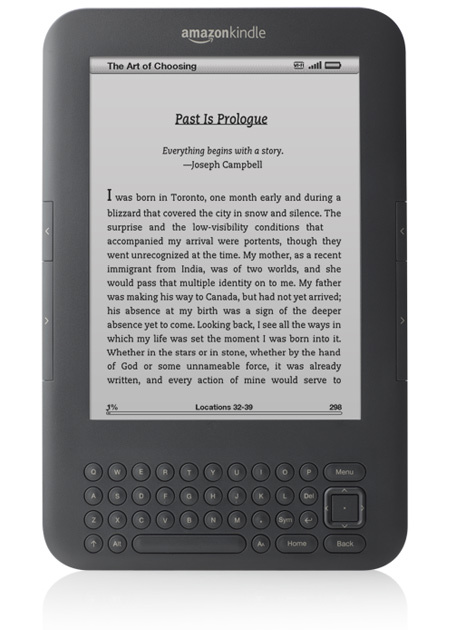 So this summer i finally decided to order the new version of the Kindle. This solve most of my problem about reading some book. So now i can have my whole eBook collection with me at anytime. I’m very impressed by the device. The screen is so magical. When you watch the screen you don’t believe you are reading on an electronic device. The 6” screen is perfect size for me. It’s not too big and not too small. And for the weight, we cannot compare to device to a book because it’s so light. Currently most of my eBook are currently in PDF. This device can read PDF. But, the PDF reader is not the best for the 6” device. Usually the eBook display the proper amount of text the be easily read by the user. But when we read a PDF i display the whole page. So you have to zoom in the page to display and move the zoom area to read the page. So in my opinion this will need some improvement. On the other side, there is some workaround to solve this issue. 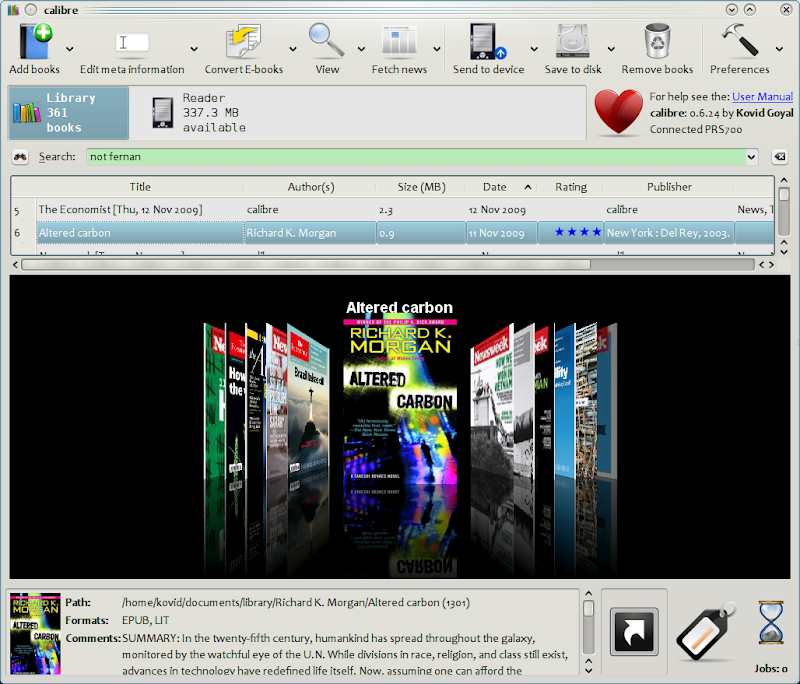 You can use some software to convert the PDF to a compatible eBook format like “.mobi”. So you can use MobiPocket to convert the PDF and manage your eBooks. Or you can use Calibre. This is the current software I'm using. The device include some experimental feature like the web browser, which work very well. The pages are rendered very nicely. Also there is a text-to-speech feature, which allow you to listen while you Kindle is reading you book for you. And i can confirm you that this feature which still experimental work very well. In conclusion, i can only recommend the latest Kindle. For 139$, every developer should have one, so they wont have to bring their 5 pounds book everyday.